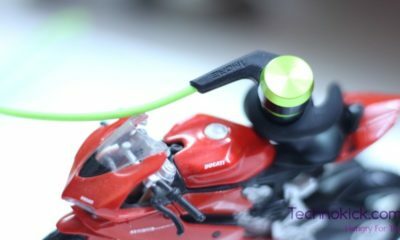 Teewe HDMI Dongle Review – The Best HDMI Dongle Available? It’s not been long when people used to buy some big serious set up boxes to make their TV “smart” through which they can watch YouTube videos, Surf Net and play music. 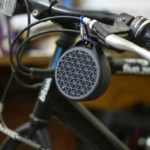 People called it smart as it played Multimedia, that’s it, So, In late 2014, A Company Named Teewe, situated in Bangalore, came up with a device which can actually be called smart. 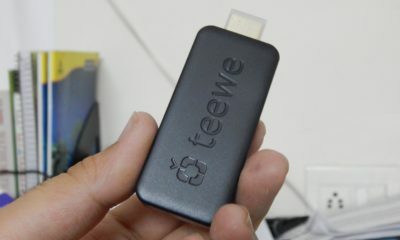 Teewe is a HDMI dongle with some great features in it. So is it the best? Let’s find out. 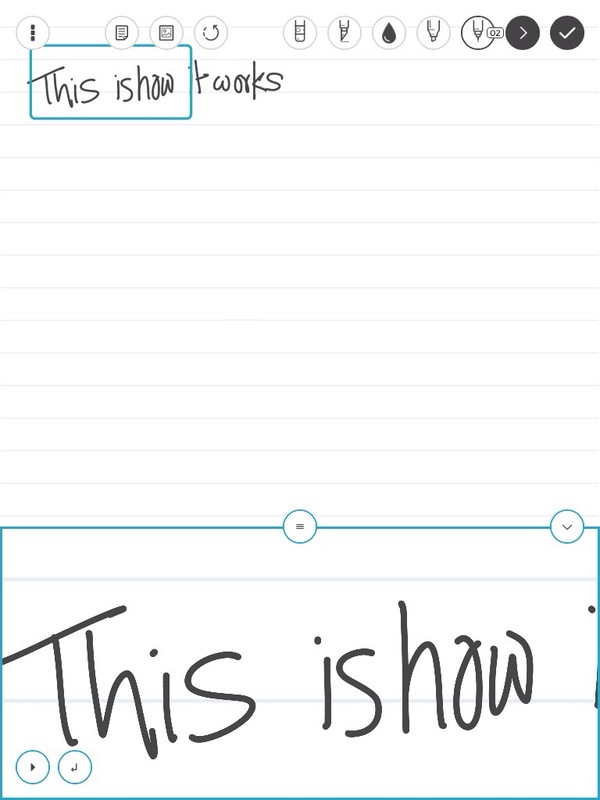 the Interface of the app as well as on the TV is pretty nice On the Screen you got a blue background and on the Centre you got a Teewe logo and your Teewe’s Name, On he upper left you can See your Wifi Reception and on Upper Right is your time. 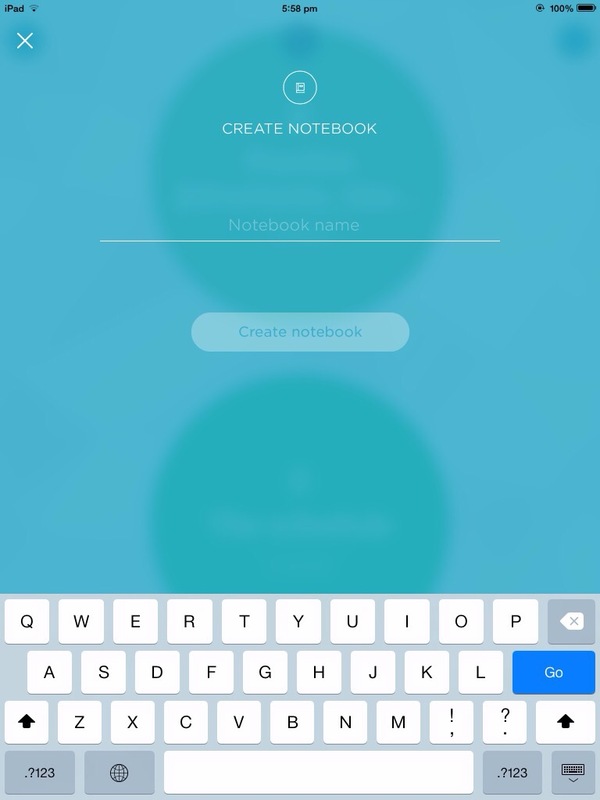 The Mobile Interface is pretty Simple, also on first start of the app, you can see a tutorial on how to use it. The Wifi reception of this Device is Awesome, You easily get 2 bars even if your Router is 4 Rooms next. 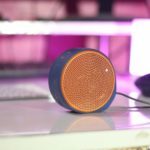 Teewe’s build quality is Awesome, It has a great matte finish, which is neatly crafted, Its stiff and having it in your hand doesn’t seems like as if you are holding a Peice of Plastic. Its stiff, and it can bare some drops easily. Well Teewe is very Portable but you can’t say it very small, it’s twice the size of a pendrive and you have to keep it hanging behind the teewe. Well but the looks are great and it does the job well so no complaints. 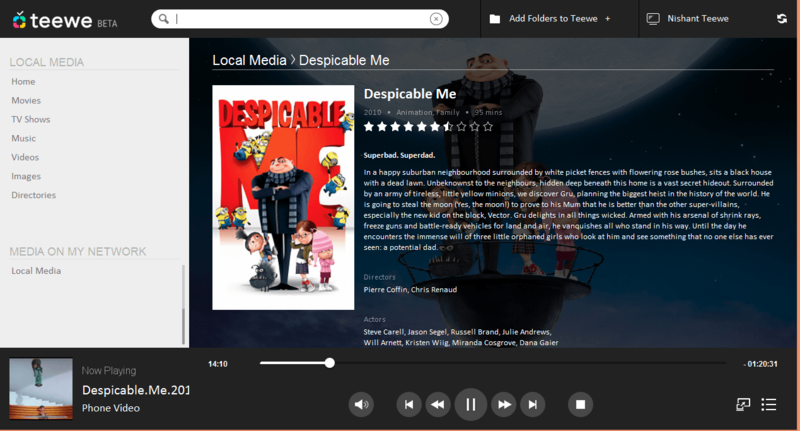 As stated Teewe also can stram content from your PC, and itdoes it very well, You can play any moview from your laptop/PC and teewe will show you all the Discription and Ratings of it. 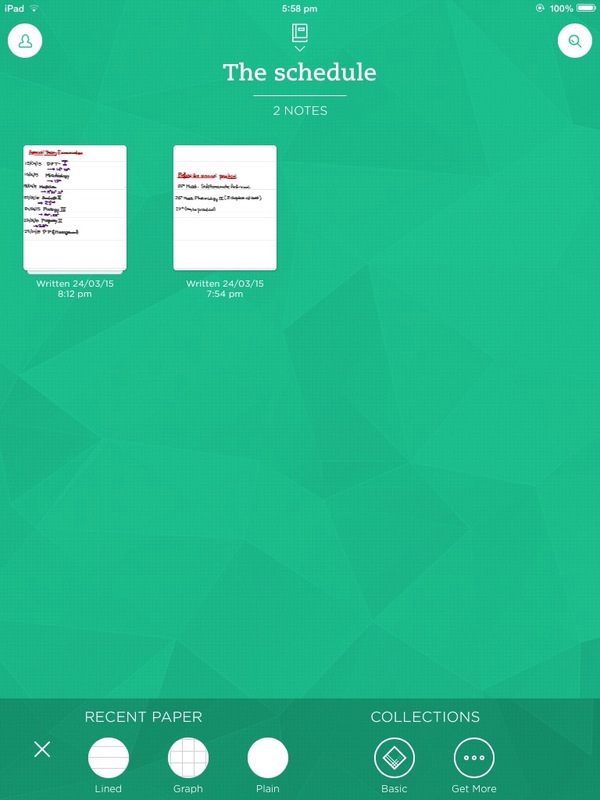 The Design of the app is also Really Nice. 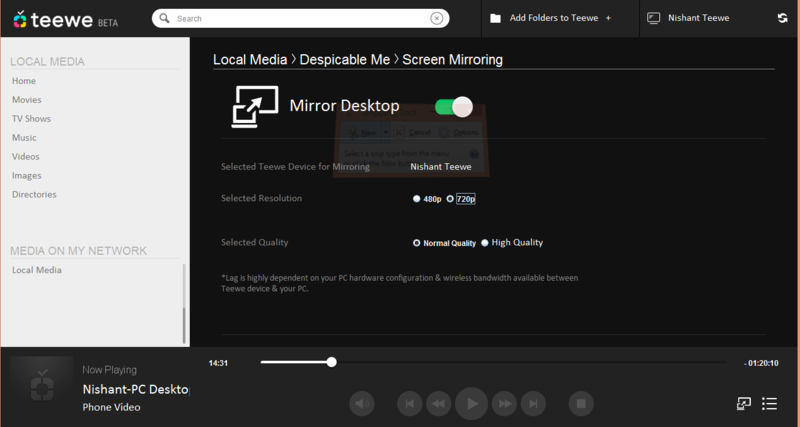 You also Can Mirror your PC, It seems a little laggy but still its really nice feature. 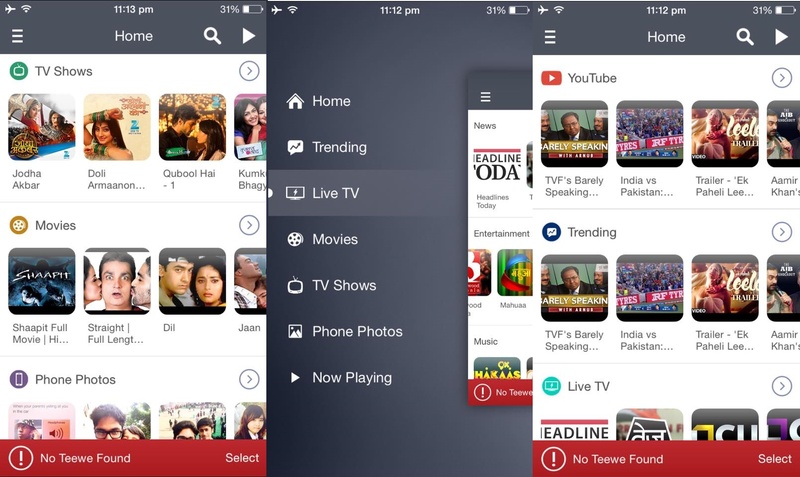 So it is the Best, Yes definitely, after using its competitors Like Chromecast, You can see a lot of differences, It does the work well, You can play YouTube Videos, Play any file From your Mobile or PC, and Can also Play Live T.V, At the Price of only Rs. 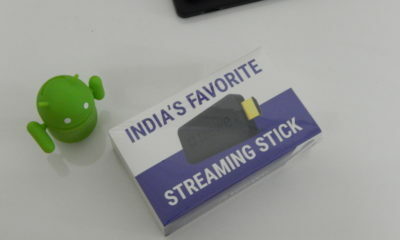 1,999, It is The Best Streaming Device Available. 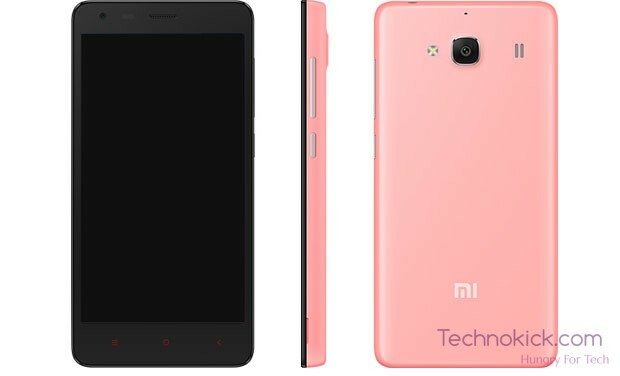 Redmi Note 4G: The Best Budget Phablet? There may be a time when you think an App is really nice but when you actually buy it and use it, you find it with a heck load of bugs or maybe it is no longer functional for you. 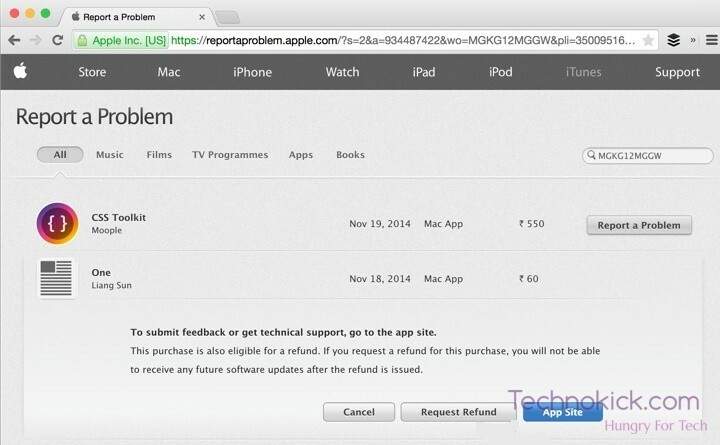 For this apple has made a procedure where you can ask for a return of the App and hence getting your money back. 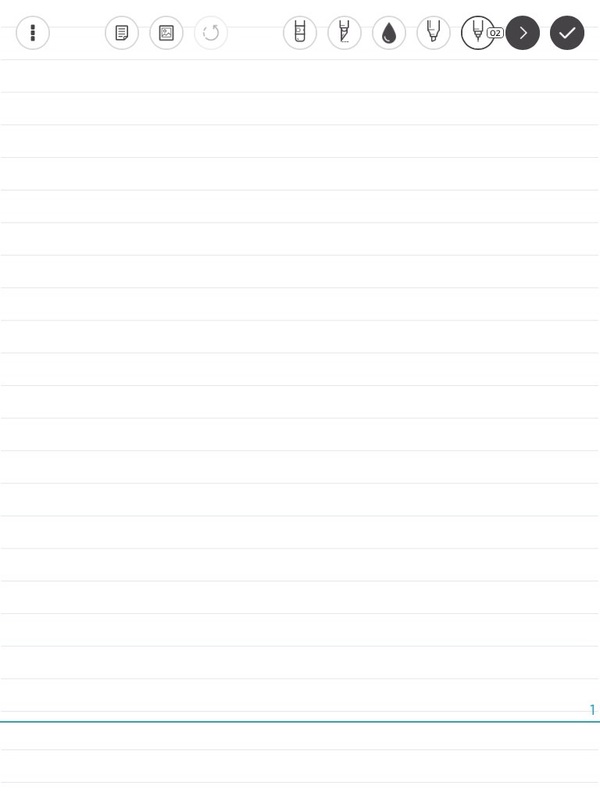 Next click See All under the Purchase history section to see all your recent app purchases. 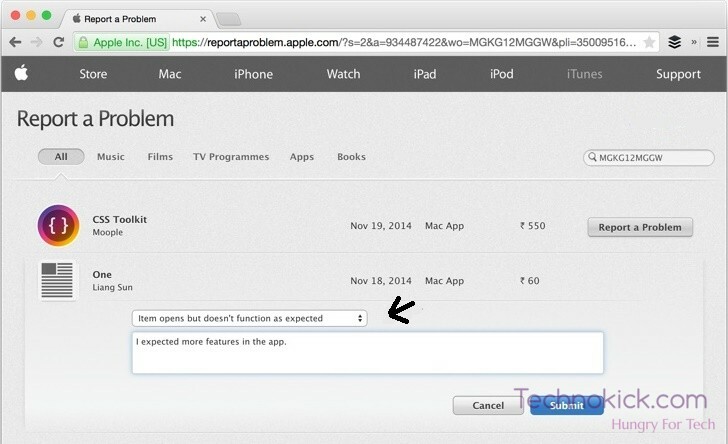 Step 2: Now Click the “Report a Problem” link available against all your recent app purchases( near the price text). If the Mac app is not listed in your recent purchased list, click the little grey arrow to expand the order that contains your app and click the Report a Problem link against that app that you are looking to refund. Step 3: After that, it will redirect you the reportaproblem.apple.com website in your default browser which is a sub website of Apple itself and here you have to specify the reason for requesting a refund for the app. You are more likely to choose “I didn’t authorize the purchase” or “Item functions but doesn’t work as expected” and describe the exact issue you are experiencing with the app. 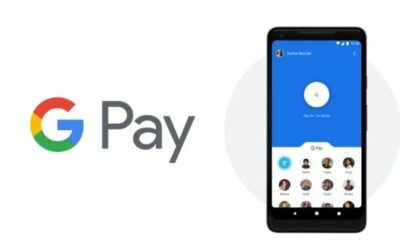 mostly the app is eligible for a refund, If the app is eligible for an immediate refund, you’ll see a “Request Refund” button right away and the refund will be processed in 5 to 7 days. In case not, someone from the Apple support team will contact you within 48 hours via the email address associated with this Apple ID to resolve your request. Well that was this simple, I hope it would have helped you. Do let me know if it worked for you or not. Nearly 2 years ago, we used to pay 20k for a phone with merely 512MB RAM. Today the scenario has changed. 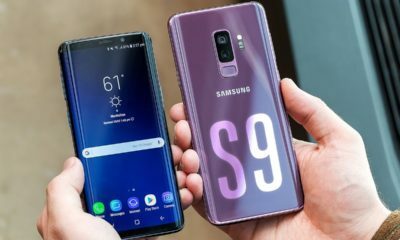 The phones have became much cheaper and still has great performance. Companies now focus on price to performance ratio. Some companies like Xiaomi, Motorola, Infocus, Micromax Yu (though it has a lot of issues) and Infocus has made really great phones at a lot cheaper price. A lot of you would be thinking that Xiaomi was the game changer in Indian market but it isn’t true. Google owned Motorola first released the best budget phone at that time in whole world including USA and Europe. Motorola launched two devices which were Moto G and Moto X. Moto G was a hit and crossed 25 million+ sales. Moto x was also a great phone and in its price range it was also a hit. Then after that came Xiaomi to India with Mi3 which you would be knowing how it ended up. It was one of the greatest hit in Indian market. So that was the beggining of the Budget smartphones with amazing performance. 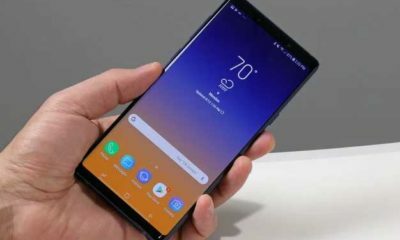 So talking about the good performes, we now start-up the list of 10 Best Phones under Rs. 10,000. 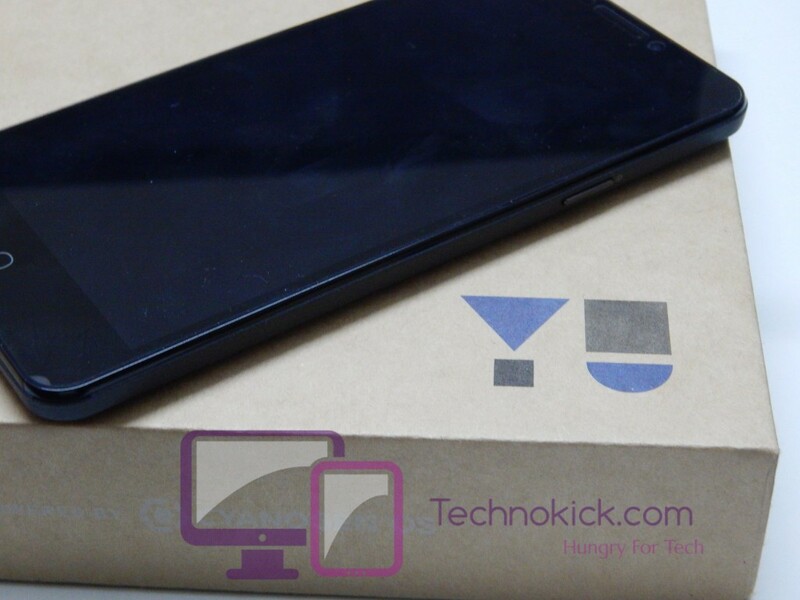 Yu Yureka or rather say Micromax Yu Yureka was released in January 2015. It was live telecast and 23,000 people saw it. The phone was a hit as it had CynogenMod 11 which is a custom ROM and was having great specs. A lot of people bought it and I also did but it somehow didn’t go that well. It had some major software as well as hardware issues. It has a snapdragon 615 in it coupled with 2GB RAM. It has a 720p 5.5″ display. Yu Yureka is priced at Rs 8,999 at Amazon and has flash sales. Yureka has CynogenMod which has both Pros and Cons. For me if a person is able to do some tasks like opening a normal app, calling then he would be happy but Yureka’s OS has a lot of customization but due to its bugs, it is not usable sometimes. It is also facing a lot of heating issues. 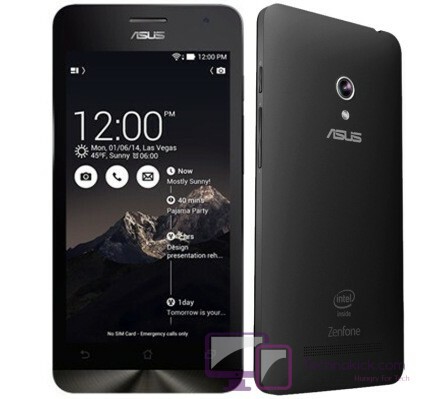 Asus Zenphone 5 is an evergreen phone. It was released more 7 months ago and is still good to buy. It has got the 1.6 GHz Intel dual core processor with 2 GB RAM which delivers exceptional performance and good multi-tasking. The 5 inches HD screen and the display is very good, it has also got the Corning Gorilla Glass 3 protection. One more thing I loved about the phone is, it has increased display sensitivity so you can use the phone even while wearing gloves, this is great for winter season. The phone’s design is sleek and beautiful. It has got good camera and it runs on the Android Kitkat. This phone comes with two storage option 8 GB and 16 GB while both come with the expandable storage. Okay, now one thing I felt could have been better is the phone’s UI, it runs on Asus’s own ZenUI which is good but it can be made even more good-looking. Overall this phone has got most of the things right and gives a balanced user experience at this price. It costs Rs. 8,999. After the decline of Nokia, Microsoft took over it, after Microsoft took over, it is estimated that their was a rise of 20% sale. 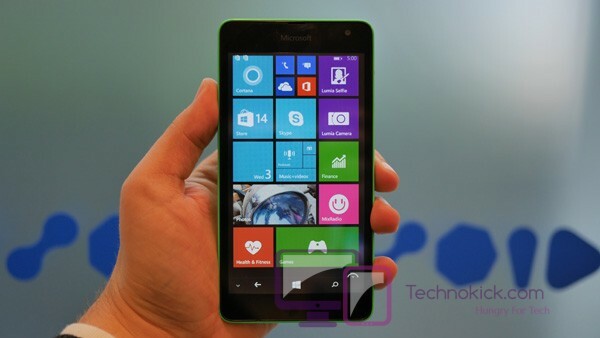 Mainly the credit for it goes to Lumia 535, it is one of the best windows phone one can get. It has a great display and a great build. It has a 5″ IPS display with a qHD Resolution. It has a 5MP Front and a 5MP rear camera. Lumia always has a great camera and Lumia 535 is no different from them. 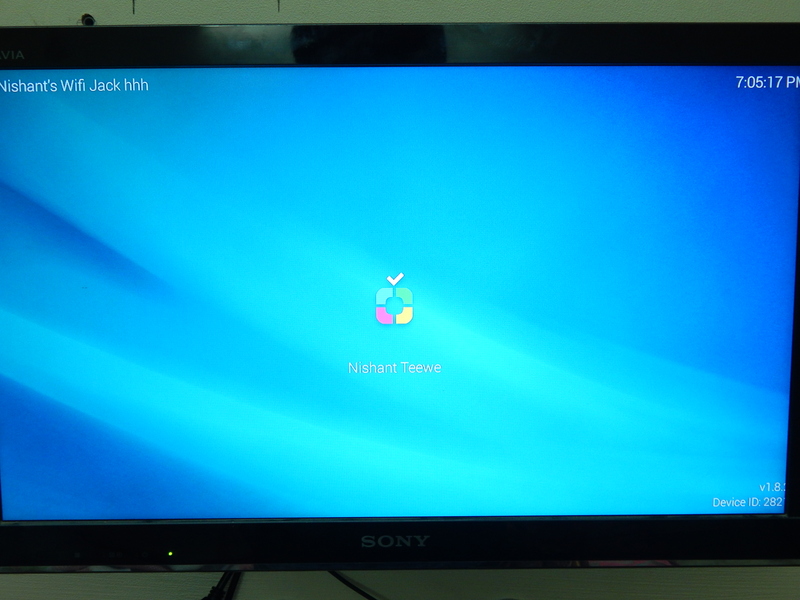 It has got windows 8 in it and it will be upgraded to windows 10 when it is available. It has a Snapdragon 200 processor coupled with 1GB of RAM. It has a 1950Mah battery and has 8GB internal memory. The best part is that you can add a memory card of upto 128GB. The spec seems good on paper and The phone is also that great. 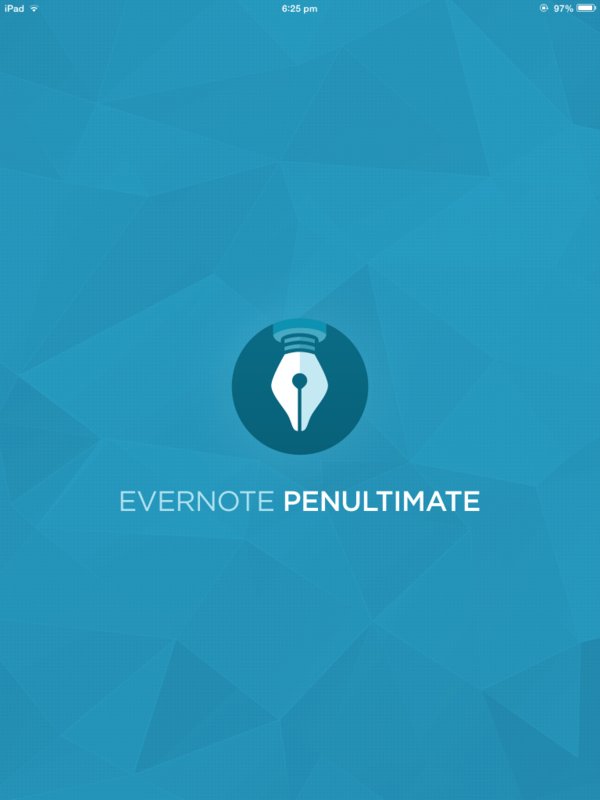 It is smoot and has that aesthetic feel of Lumia. It is one of the best lumia available. 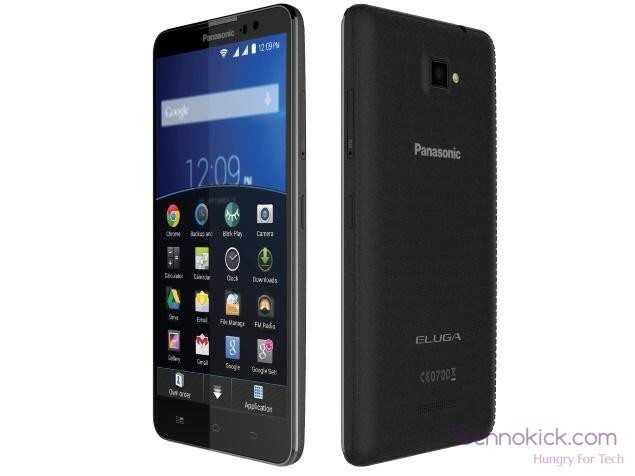 Panasonic Eluga S was released a month back and has got a great response. The phone is smartly priced under $170 (or Rs. 11,190). 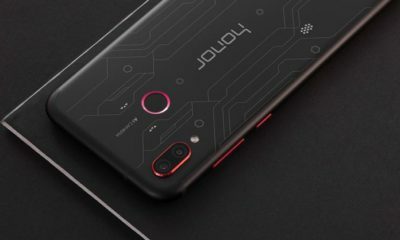 This phone will be an extension to their existing Eluga series. The smartphone will available to the Indian buyers starting next week. 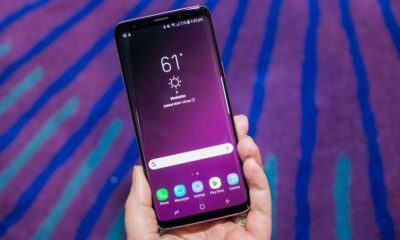 The phone is unique in a sense that it sports a Blink-Play feature that takes a selfie picture after an interval of 3 seconds when the user blinks. It has a 5″ full HD display with a corning gorilla glass protection. It has some good feature but the drawback is that it only has 1GB of RAM. It has a 8MP rear camera and 2100mAh battery which would give you atleast a day. It is the most cheapest devices in the least and it costs nearly half than the other phones in the list. It costs just Rs. 4,999. It has a 4.2″ 720p HD Screen with a ppi of 355. This is not just that, It also ot a 8MP front and 8MP rear camera with flash on both sides. Yes, you heard it right, it has flash on rear side as well as on front side. 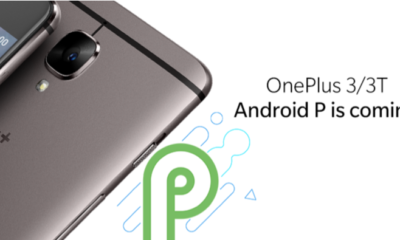 It has a 1.3 GHz Quadcore Mediatek processor with 1GB of RAM. 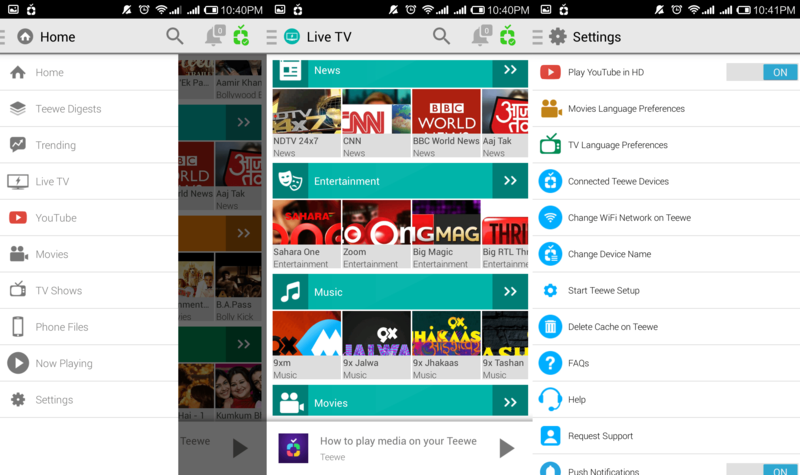 It has INLIFE UI based upon Android 4.4.2. It is a dual Sim phone with 3G on both Sims. It has 8GB internal memory and can support Memory Card with upto 64GB. Phone has a ergonomic Design and feels great in the hand. It has a plain back and is available in Black and white colour. The A6000 is a quintessential budget smartphone, priced at exactly what the Moto E had been launched at, Rs. 6,999. 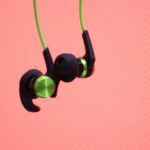 Lenovo added the flash sale elements in order to create hype and give its supply chains some relief. 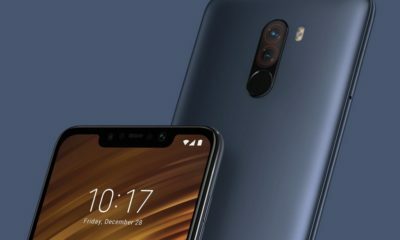 So, yes, this phone will not come to the market in big numbers in the foreseeable future, irrespective of what we may think about it. 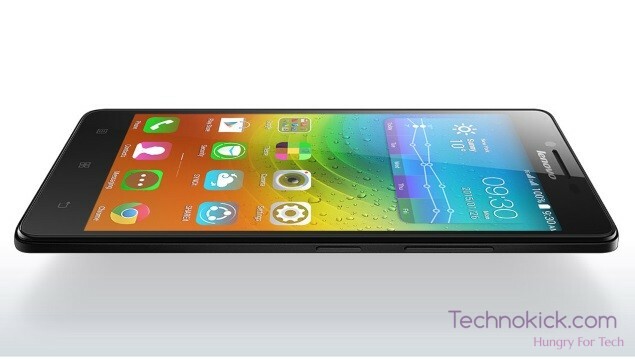 Lenovo A6000 has 1 Gb of RAM and a Snapdragon 64 bit 410 Soc. It has a & 720p HD 5″ screen which any circumstances perform great. Lenovo A6000 has a great built and an average battery life. The 8 megapixel camera is also not at all bad. This is one of the good phones in this range if you want to get a decent phone and save some money to buy grocery for next 3 weeks. You may think that Moto G is above Rs. 10,000 and yes it is, So why is it on this list? This is because Moto G deserves it, it was the best phone last year before or after Mi3 launched. 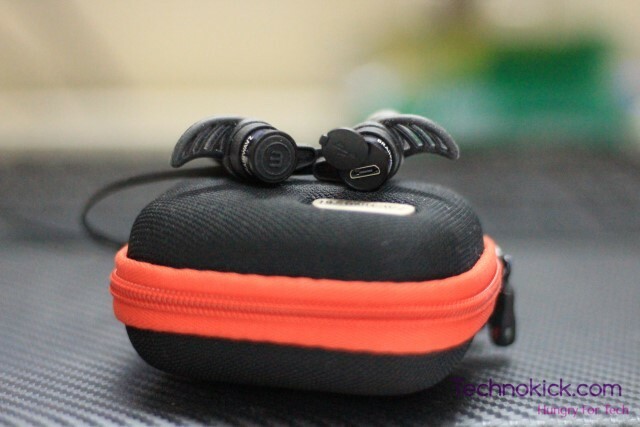 It has a great build quality, great speakers and a average camera. The Moto G 2nd Generation phone comes with a powerful Qualcomm Snapdragon 400 processor with 1.2GHz quad-core CPU, It is running Android Kitkat out of the box, and you will immediately get Lollipop update so it runs Lollipop!. Apart from the internal storage space, the Moto G comes with a MicroSD slot that allows you to expand your storage even further. This phone comes with a proximity sensor which turns off the display when you are on a call. 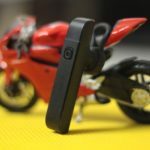 The accelerometer controls the orientation of the phone and helps with motion gaming. The ambient light sensor adjusts the screen’s brightness for optimal viewing in different conditions. It also has a magnetometer for navigation apps. Moto G is also Water Resistant. Motorola’s revision to last year’s budget phone, the Moto E, is out and while it’s still called the E, it does have some second gen features to boast. The newer Moto E comes with a beefier set of specifications and not a whole lot of change in pricing. A new front camera, a larger 2390 mAh battery and an all new rear shell that truly is unique to the new Moto E. The Moto E is priced at Rs. 6999 and comes with Android 5.0 out of the box, yes just like its predecessors it’s stock android, with a bunch of Motorola apps on there. It has a Snapdragon 200 processor which is a major drawback and 1GB of RAM. 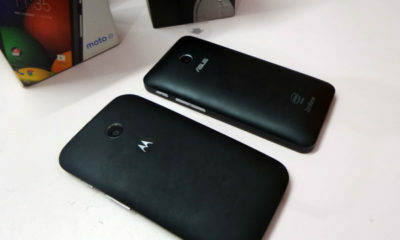 It has a average 5 MP rear camera and a VGA front camera (really moto?). It is on 3rd number because of its stock experience. 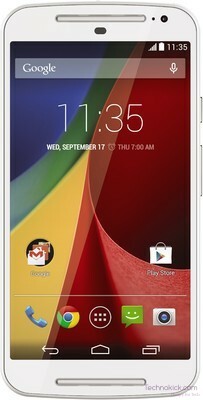 I am personally a Moto X user and I know the fluidness and smoothness in th OS. It has a low 960 x 540 resolution, which ends up making text, photos and just about everything else a tad less sharp than on other smartphones mentioned above. Redmi Note 4G is one of the best phone in 9k-10k range, it has great specs, great built as well as great battery life. What else you want! It has a 720p HD 5.5″ display with corning gorilla glass 3. It has Snapdragon 400 quadcore processor coupled with 2GB of RAM. 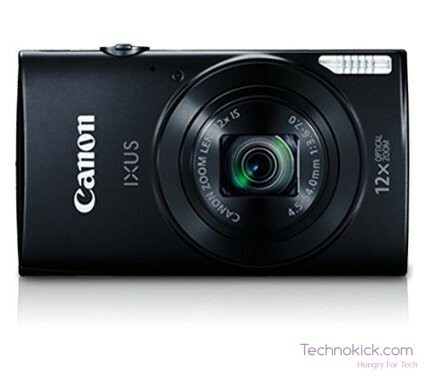 It has one of the best camera under 17k, a 13MP Sony shooter with flash. On the front, it has a 5MP shooter. 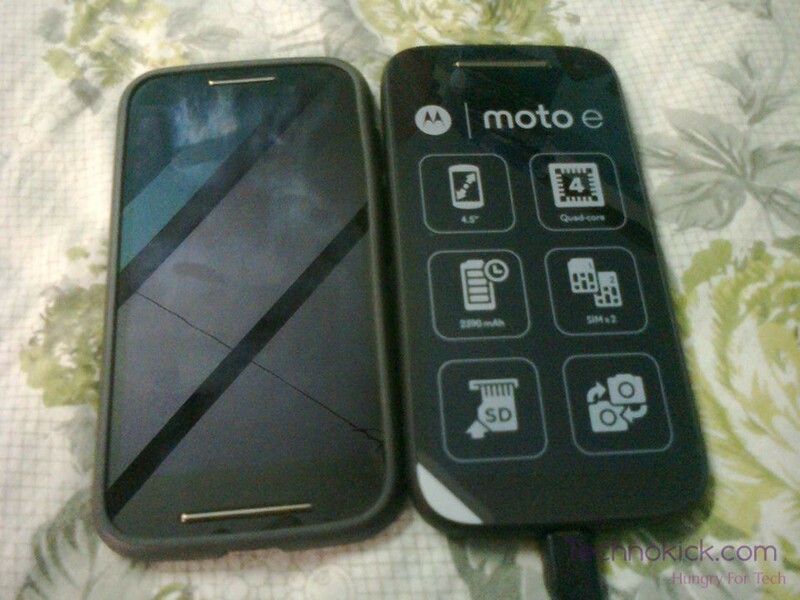 The phone can record upto 1080p from both of its camera (I see u moto e! :p ). It also has MIUI 6 which is a cherry on top. I am a user of stock android as I stated above, but when you use MIUI 6, you will definitely fell in love with it. It is smooth and out performs any other Custom ROM. 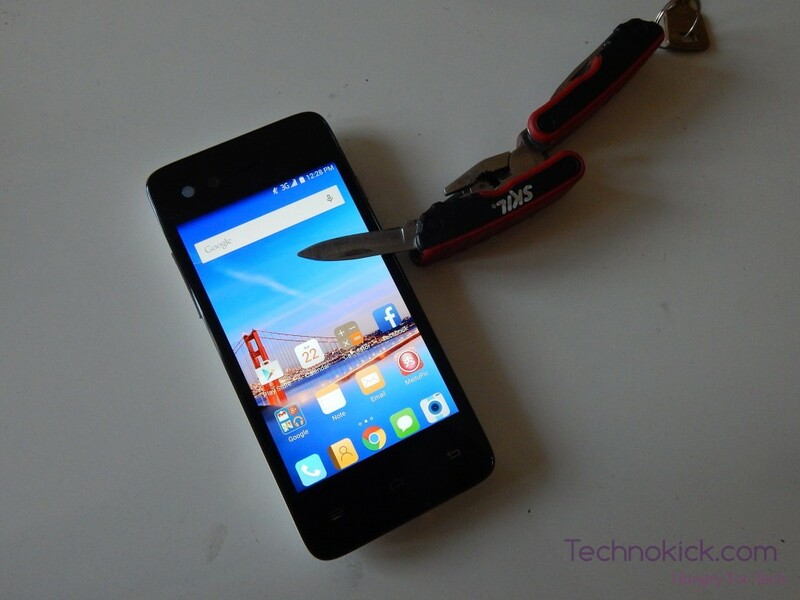 The bezels of the phone are though really huge and it sometimes make trouble, but MIUI 6 solves it with one hand use, so a big thumbs up to Xiaomi. Redmi 2 is a sequel of Redmi 1S or say Redmi 1, It has snapdragon 410 processor coupled with 1GB of RAM and a Adreno 306. 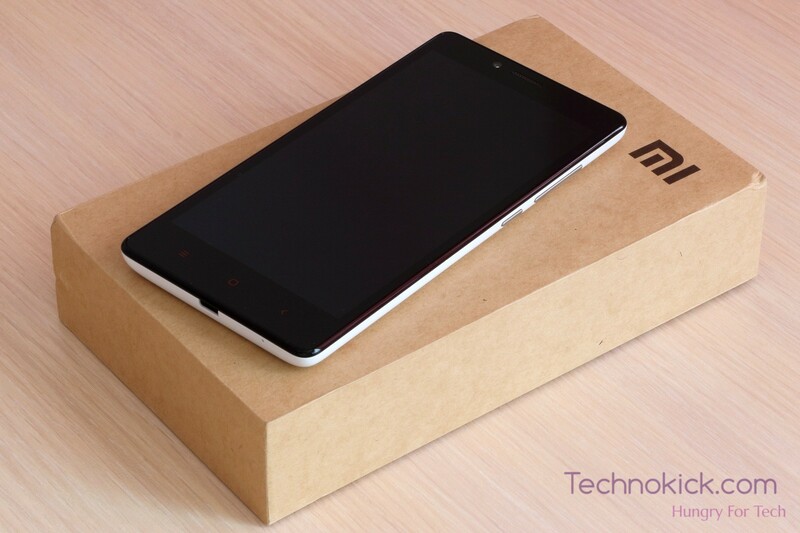 It is based on Android 4.4.4 and is running MUI 6 which is a custom UI for Xiaomi. Redmi 2 is slim and has a Ergonomic design. It has a matte back and is sold with a white back cover only. You can buy external covers from flipkart later. It has a a 720p 4.7″ HD screen with dragon tail protection on it. 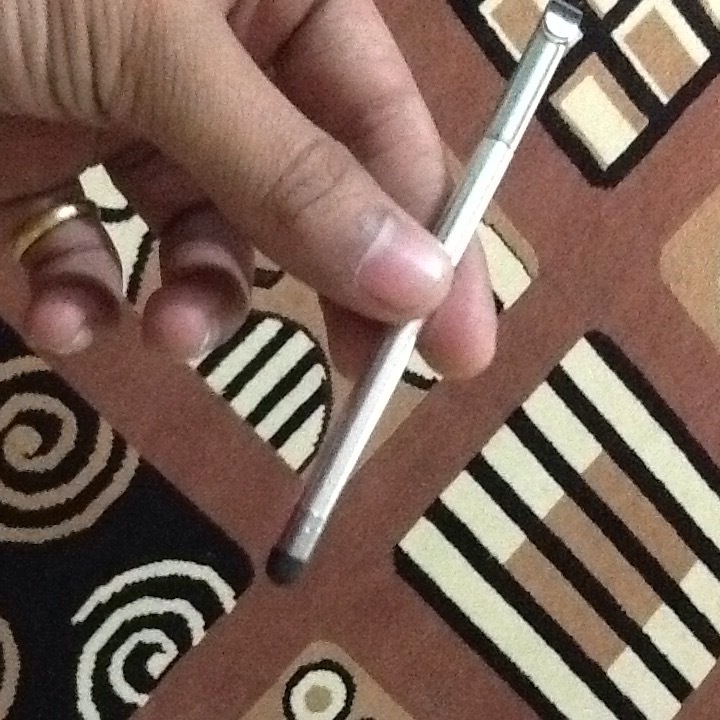 It is a dual sim phone 4G enabled. Redmi 2 handles almost anything you put upon. It has the best camera you can get under 10k. 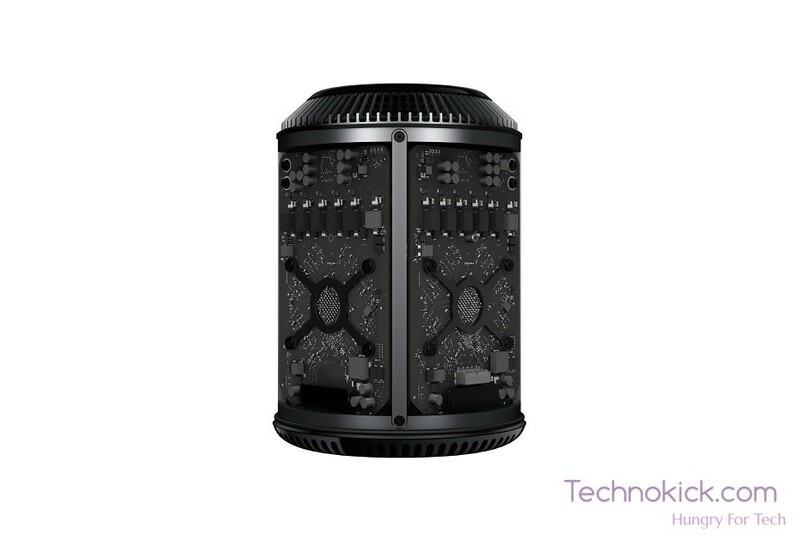 It has 8GB internal memory and is expandable upto 32GB. After defeating all the phones, Redmi 2 became the best phone you can buy under Rs, 10,000 till date.